14839 Backlit by the evening sky, a pair of horsemen pause at the center of a beautiful full-color wraparound graphic. With its gorgeous colors and fresh, bamboo and hyacinth fragrance, this ordinary 6.6 oz. candle becomes a decorating sensation! Burns up to 35 hours.Weight 0.8 lb. Bamboo and Hyacinth fragrance. 3" diameter x 3¼" high. 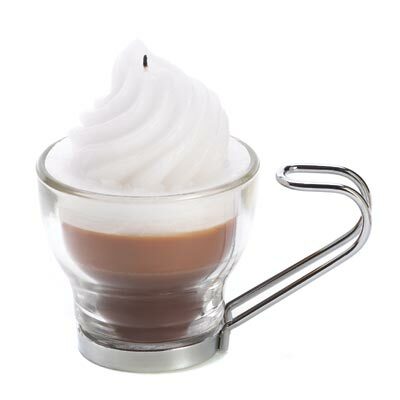 14837 Cute candle brings to mind the sights and scents of your favorite corner coffeehouse! Shaped like a luscious cup of mocha with a heaping helping of whipped cream, it’s an eye-opener that makes any day merry and bright. Burns up to 35 hours. Weight 0.4 lb. Paraffin wax, metal and glass. 4" x 2½" x 3¾" high. 14840 Experience the serenity of sunset on the African plain! 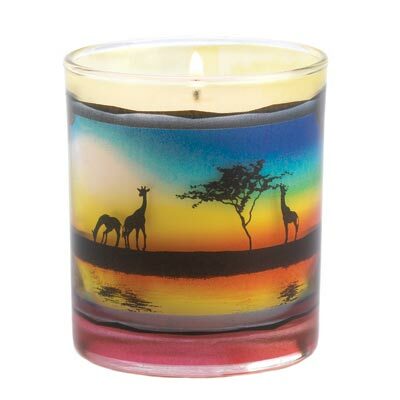 Beautifully imprinted graphic candle depicts a tranquil scene of giraffes at twilight, a gentle bamboo and hyacinth fragrance the perfect accompaniment. Creates an aura of calm at the end of a hectic day! Burns up to 35 hours. Weight 0.8 lb. Bamboo and Hyacinth fragrance. 6.6 oz. 14836 Enjoy a luscious slice of life with these delightfully delicious figural candles! 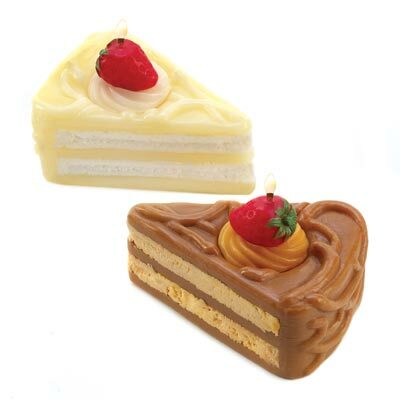 Taste-tempting looks and the lifelike scents of chocolate and vanilla make these a treat for any dedicated dessert fancier. Each burns up to 15 hours. Weight 0.4 lb. Paraffin wax. Each is 3" x 2¼" x 2" high. Pair. 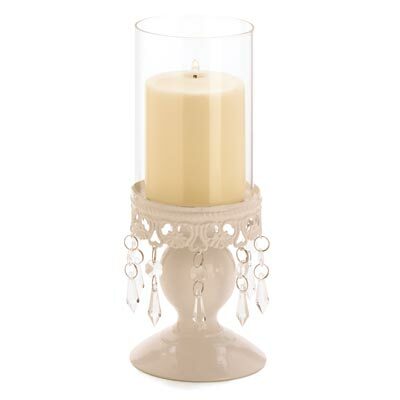 A lacy base and dazzling crystals add old-world charm to this elegant centerpiece. 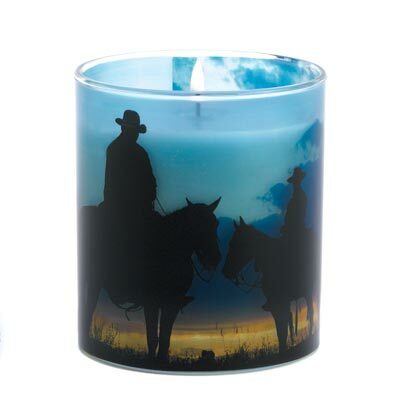 A romantic reminder of gentle bygone days, filling your home with nostalgic candlelight! 4" diameter x 10¼" high; base is 5¼" high.